President Abdel Fattah al-Sisi said in a televised address that “Egypt reserves the right to respond in the method and timing it deems suitable for retribution from these killers,” after Libya beheadings’ video. 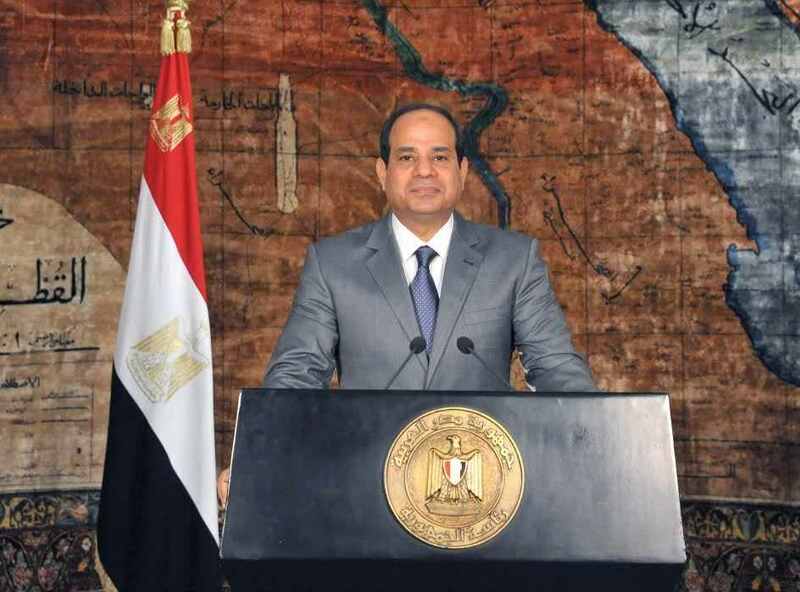 Sisi’s statement comes in response to the video which surfaced late Sunday showing the beheadings of 21 Egyptian Copts who were abducted in Libya weeks ago. Shortly after the video, Sisi called for an urgent meeting of the National Defence Council. He declared a week of mourning over the victims and expressed condolences to their families. The 21 Coptic Egyptians were abducted in the Libyan city of Sirte on two separate occasions in December and January, only one week apart. The spokesman of Egypt’s Orthodox Church, Boulos Halim described the video as “painful” and confirmed the identities of the abductees. In the video, the speaker delivers a message after which the abductees, who were kneeling, were forced to lie down and had their throats slit simultaneously. Camilia Shehata is an Egyptian woman who was at the centre of controversy back in 2010 after her disappearance following news that she converted from Christianity to Islam. A group of Egypt’s conservative Muslims believe that she was eventually forced back into Christianity. 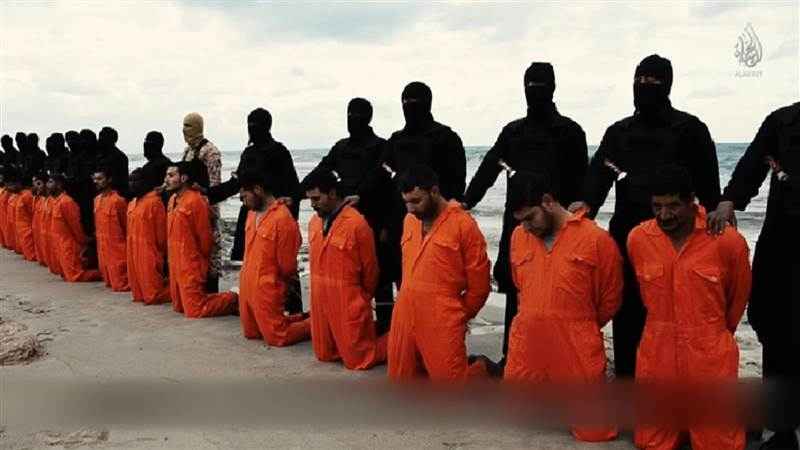 The video footage is consistent with images that had been released on social media on Thursday, showing the kidnapped Egyptians in orange jumpsuits with the sea in the backdrop.